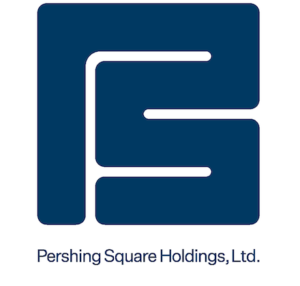 Corporate Governance - Pershing Square Holdings, Ltd. The Board of Pershing Square Holdings, Ltd. (the “Company”) consists of Richard Battey, Nicholas Botta, Bronwyn Curtis, Anne Farlow, William Scott and Richard Wohanka. Directors other than Mr. Botta, who is President of Pershing Square Capital Management, L.P., the Company’s Investment Manager, are independent. Ms. Farlow is the Chairman of the Board. Ms. Curtis is the Senior Independent Director. The Board meets regularly throughout the year, at least on a quarterly basis, and maintains regular contact between meetings with the Investment Manager and Elysium Fund Management Limited, the Company’s Administrator. The Directors are kept informed of investments and other matters relevant to the operation of the Company that would be expected to be brought to the Board’s attention. The Company is a member of the Association of Investment Companies and complies with the AIC Code of Corporate Governance (the “AIC Code”), to the extent practicable. Please see the Company’s Annual Report for the Directors’ statement of compliance with the AIC Code. The Audit Committee consists of the independent Directors of the Company who are not affiliated with the Investment Manager. Mr. Battey is the Chairman of the Audit Committee. The principal duties of the Audit Committee are to consider the appointment, independence and remuneration of the auditors and to monitor the integrity of the financial statements of the Company, including its annual and half-yearly reports and formal announcements relating to the Company’s financial performance. The content of the Annual Report and financial statements and all material information presented with the financial statements. The Audit Committee reports to the Board on significant financial reporting issues and judgments communicated to the Audit Committee by the auditors and advises the Board on whether, taken as a whole, the Company’s Annual Report is fair, balanced and understandable and provides the information necessary for shareholders to assess the Company’s performance, business model and strategy. The Board has established a Management Engagement Committee in order to adhere to the principles of the UK Corporate Governance Code in connection with the admission of the Company’s ordinary shares to trading on the London Stock Exchange. The Management Engagement Committee consists of the independent Directors of the Company who are not affiliated with the Investment Manager. Mr. Scott is the Chairman of the Management Engagement Committee. The Management Engagement Committee reviews the performance of the Company’s Investment Manager in the management of the Company’s affairs and the terms of engagement and performance of the Company’s other key service providers. The Management Engagement Committee reports its recommendations to the Board. Prior to the establishment of the Management Engagement Committee it was the practice of the Board to satisfy the functions of a Management Engagement Committee by having all Directors not affiliated with the Investment Manager participate in the discussion of and voting upon any matter that would typically come before a Management Engagement Committee. The Nomination Committee consists of the independent Directors of the Company who are not affiliated with the Investment Manager. Ms. Farlow is the Chairman of the Nomination Committee. The Nomination Committee is responsible for reviewing the structure, size and composition of the Board, succession planning for director departures and identifying and nominating suitable candidates to fill vacancies, taking into account the challenges and opportunities facing the Company and the skills, knowledge and experience needed on the Board. The Nomination Committee reports its recommendations to the Board. The Remuneration Committee consists of the independent Directors of the Company who are not affiliated with the Investment Manager. Mr. Wohanka is the Chairman of the Remuneration Committee. The Remuneration Committee reviews the remuneration of the Company’s chairman and non-executive Directors and seeks to ensure that the Company maintains fair and appropriate remuneration policies and controls. The Remuneration Committee reports its recommendations to the Board. The Investment Manager operates a Valuation Committee, a Conflicts Committee, a Best Execution Committee, a Cybersecurity Committee and a Disclosure Committee. The minutes from the meetings of these committees are presented to the Board at the quarterly Board meetings, or sooner if appropriate.